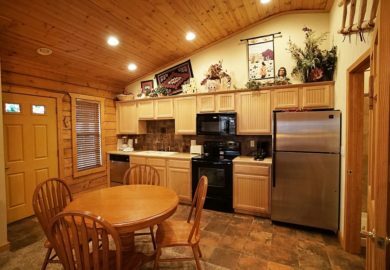 Spacious, cozy, and accommodating – these 1 bedroom units at The Cabins at Grand Mountain are some of the most popular rentals in Branson! 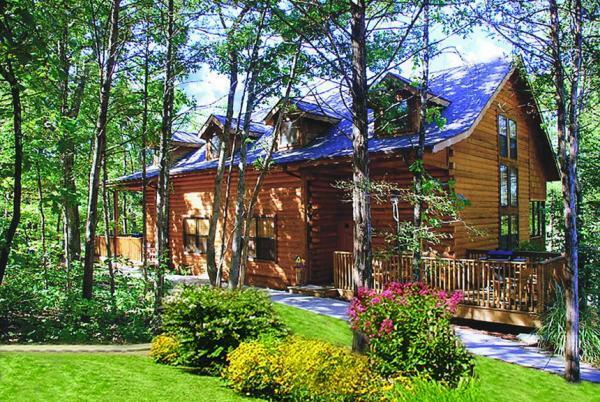 You save up to: $402.66 (67%) off! 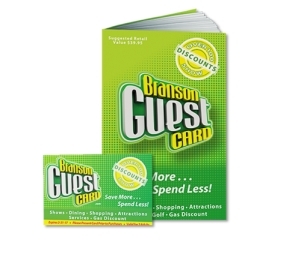 You save up to: $230.98 (44%) off! 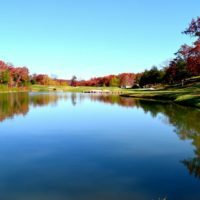 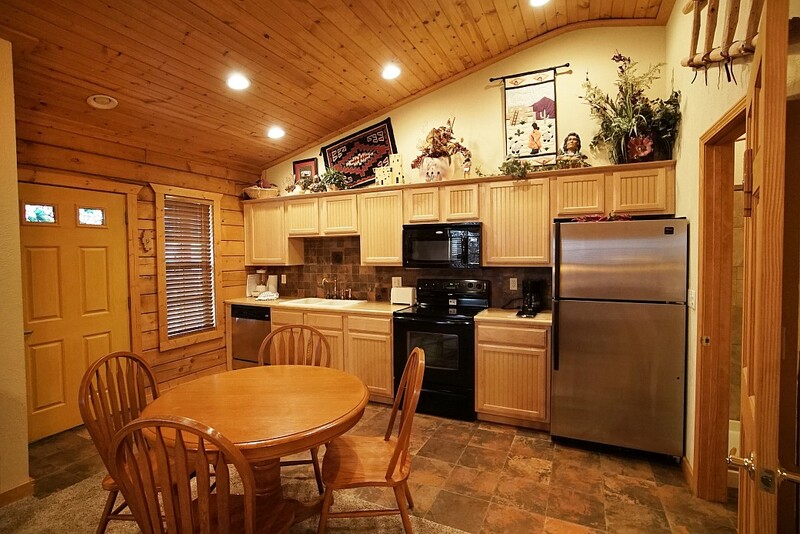 Beautiful 1 Bedroom Log Cabin Rentals! 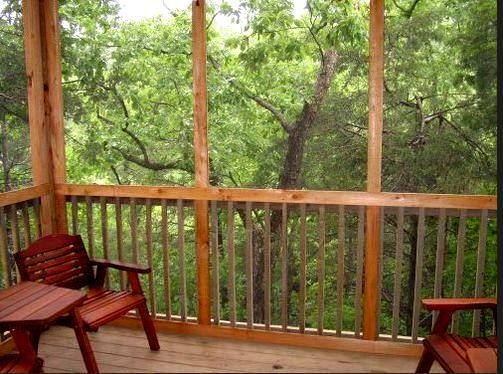 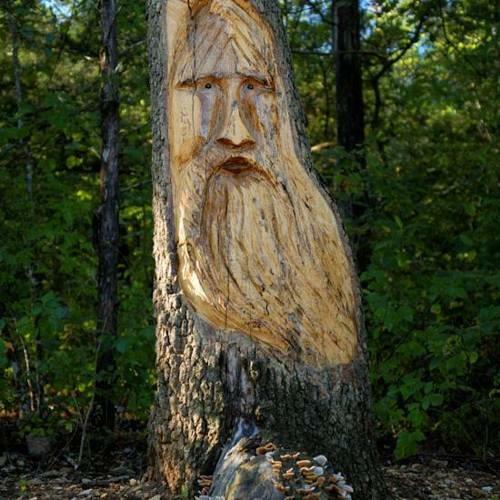 Sitting Among the Trees & Ozark Mountains! 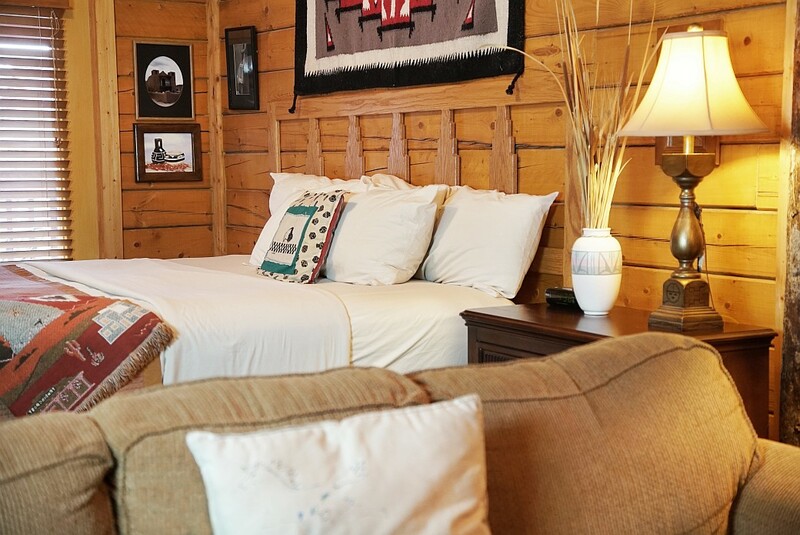 Booking tip: Cabins at Grand Mountain – 1 Bedroom Cabin (Studio-Style) is very popular, advance reservations are recommended! 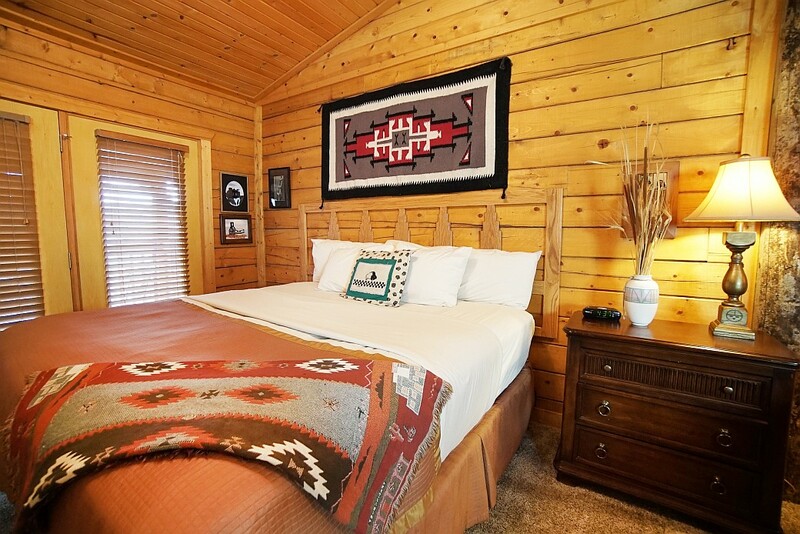 Intimate One Bedroom Log Cabin at Thousand Hills’ Cabins at Grand Mountain! 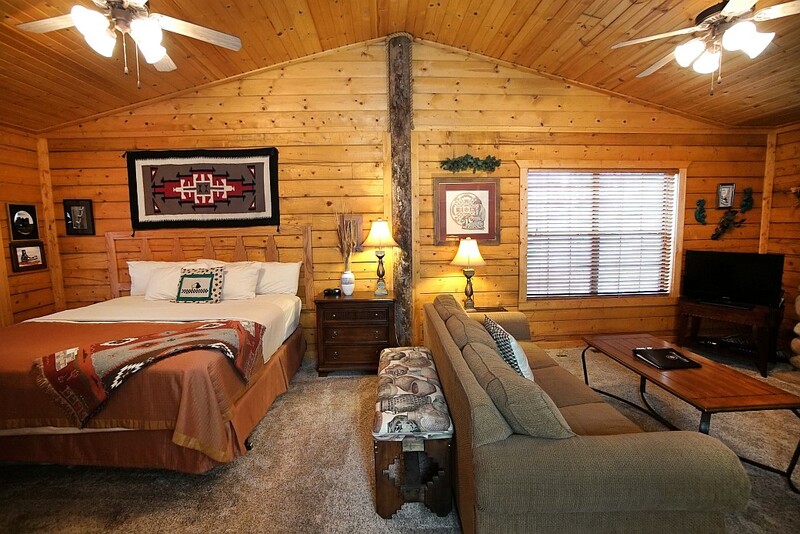 For a romantic getaway, weekend retreat, or week-long vacation – these intimate one bedroom cabins are the perfect choice for their location and features! 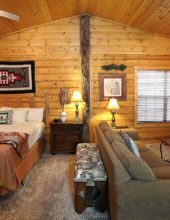 Enjoy the comfort and coziness of your home away from home when you stay at one of these beautiful properties at the Cabins at Grand Mountain! 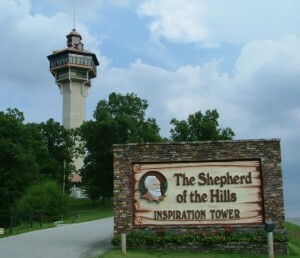 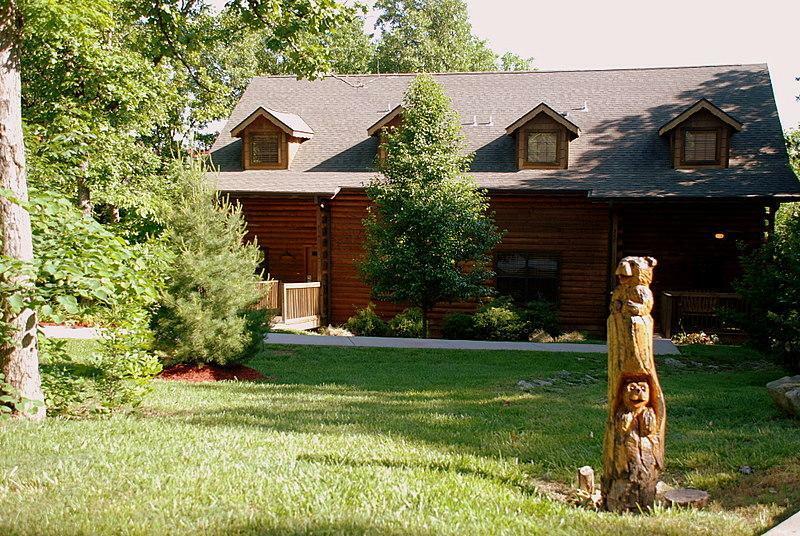 Whether you’re looking to celebrate a special occasion or to get away and experience Branson for a while, these one-room cabins are second-to-none! 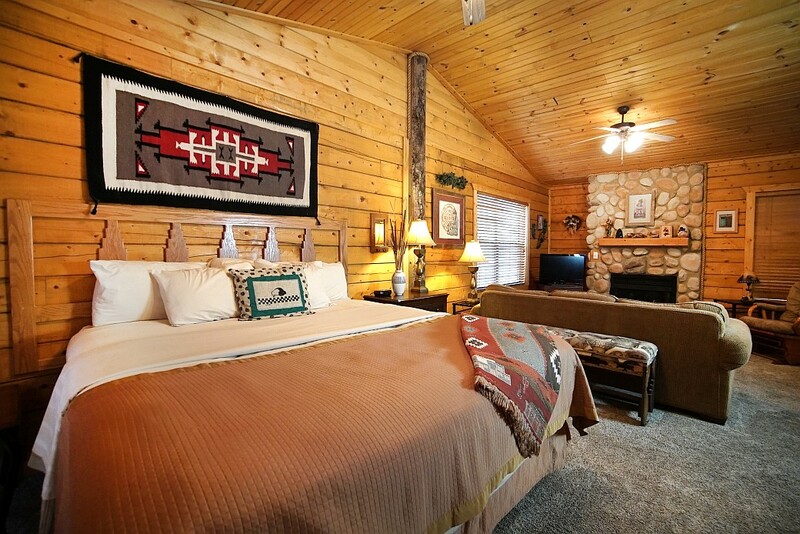 With the perfect balance of comfort, convenience, location, and features – you can truly rest and relax in luxury when you stay here! 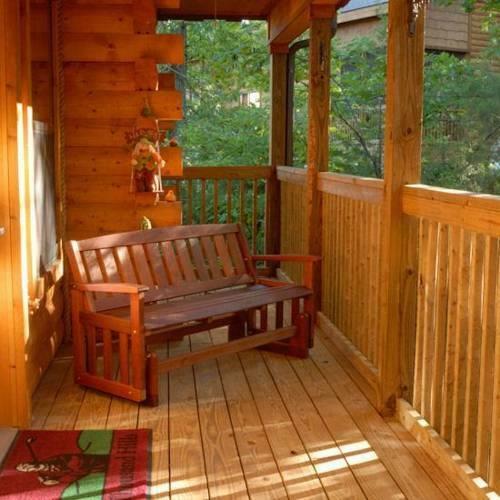 Featuring more than 625 square feet of space, these studio duplex cabins provide a very affordable and popular way to vacation in an upscale lodging property with unbeatable location and amenities. 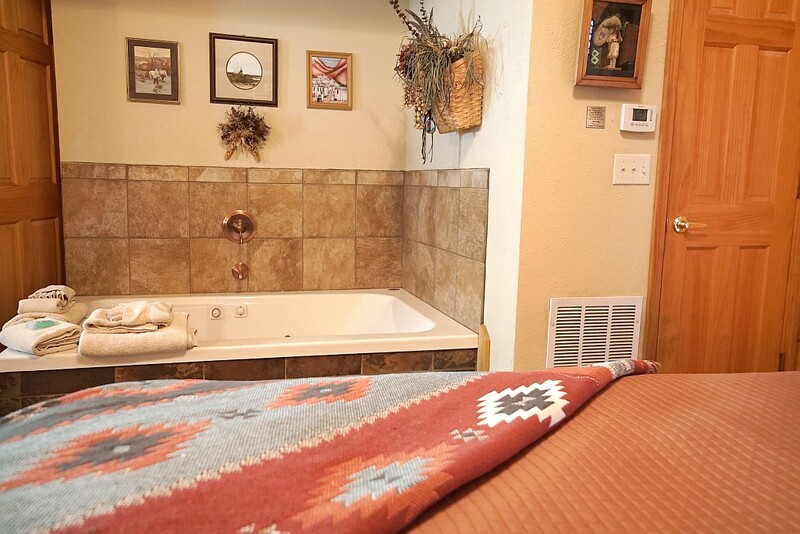 Private In-Room Jacuzzi Hot Tub! 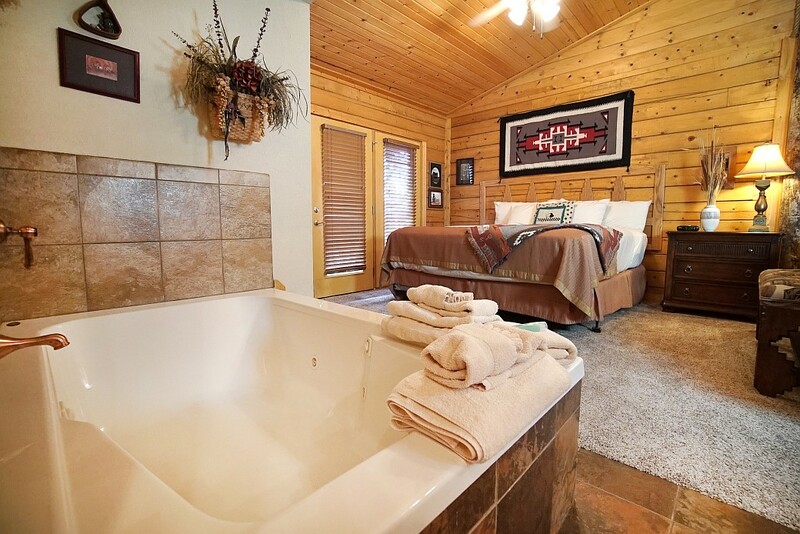 Soak up the serenity of the Ozarks as you relax in the private, two-person, in-room hot tub jacuzzi located inside the main bedroom area of the cabin. 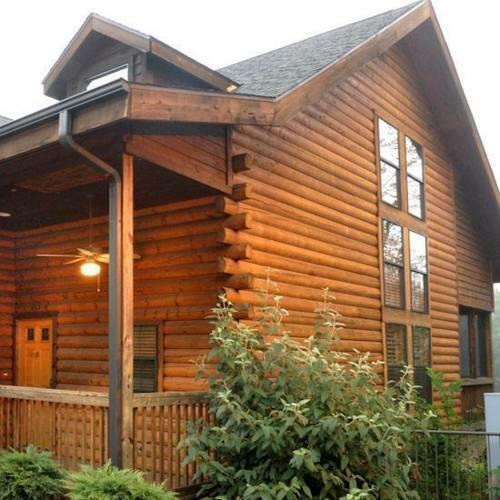 Studio-Style Cabin Sleeps up to 2 People! 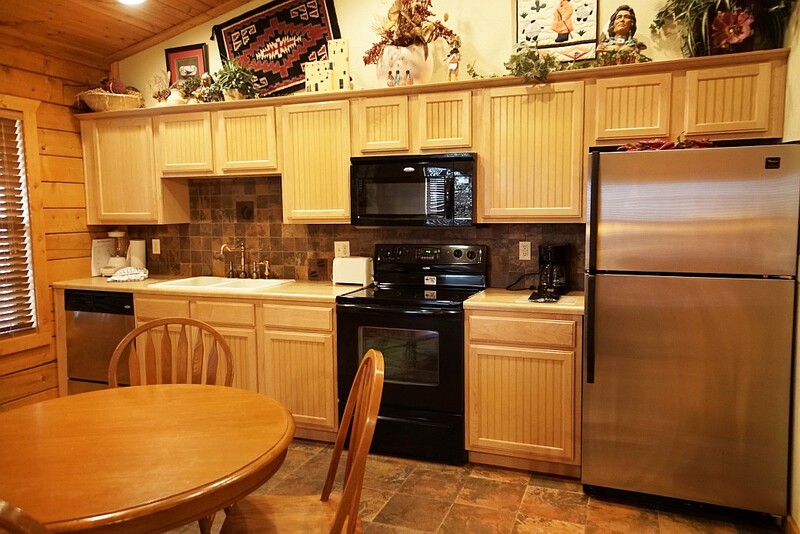 Designed with couples in mind, these units offer a spacious and inviting floor plan that allow plenty of space for you to relax during your stay! 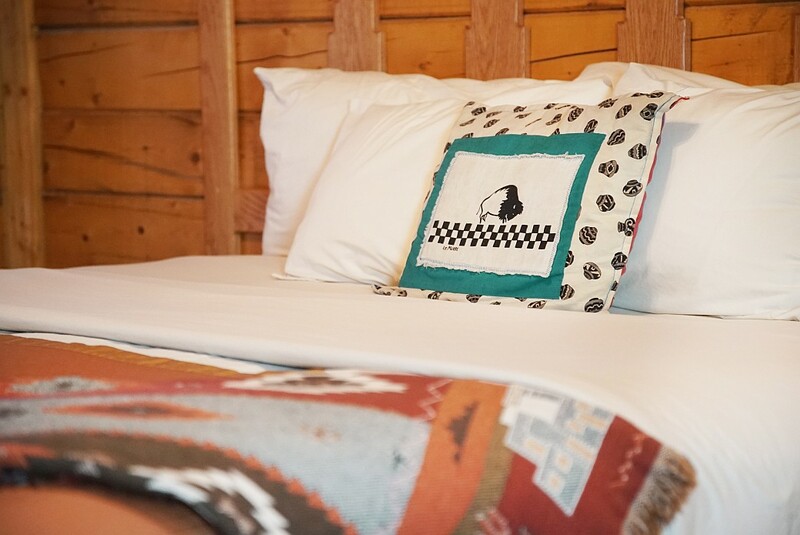 Each unit features a studio-style open floor plan with a bed, in-room hot tub, dining area, and kitchen that are all open under one main space. 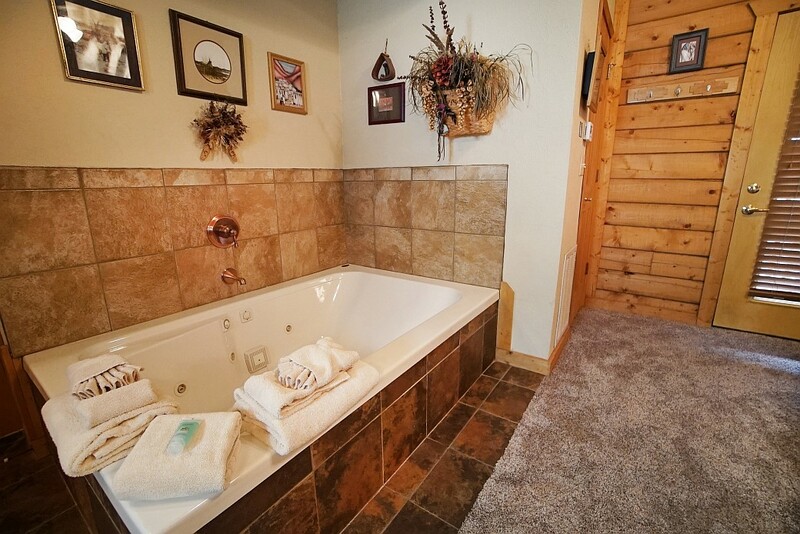 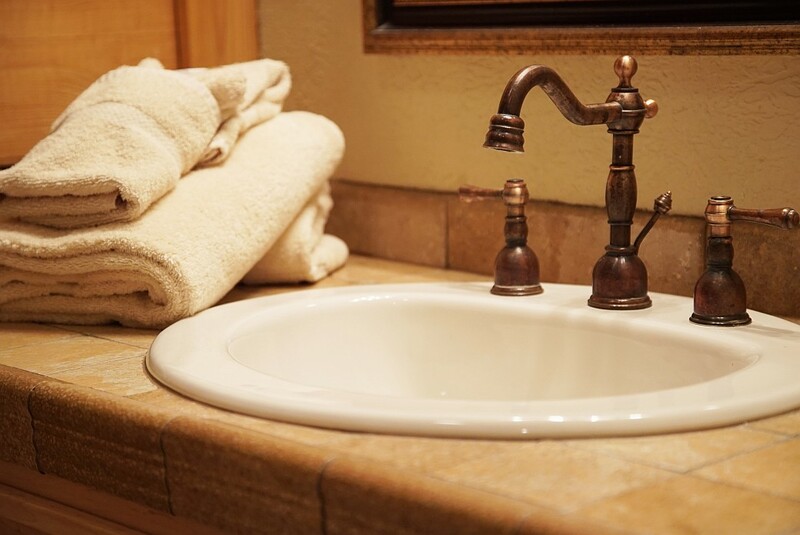 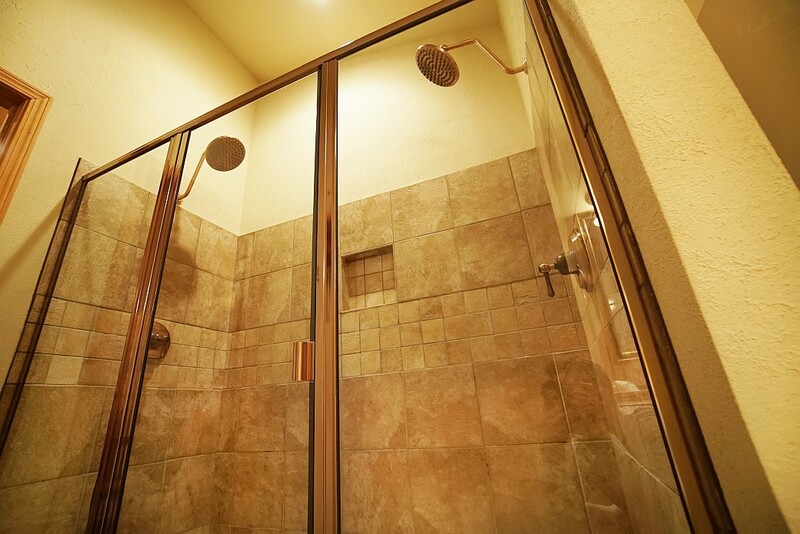 The private bathroom adjoins the main area, providing space and privacy when you need it. 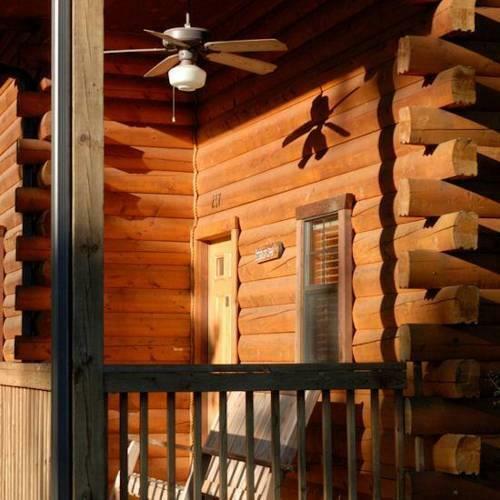 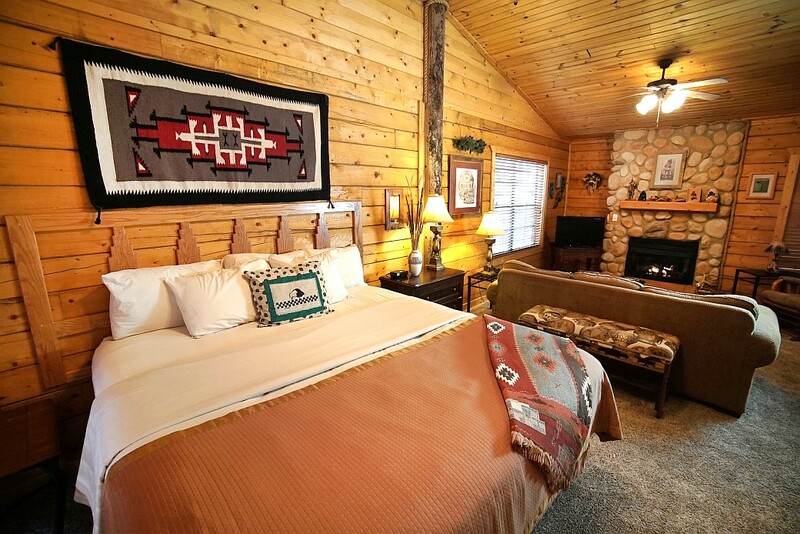 Equipped with all of the features, amenities, and services you might expect from a luxury log cabin – these one-bedroom rentals provide convenience and comfort for nearly any type of traveler! 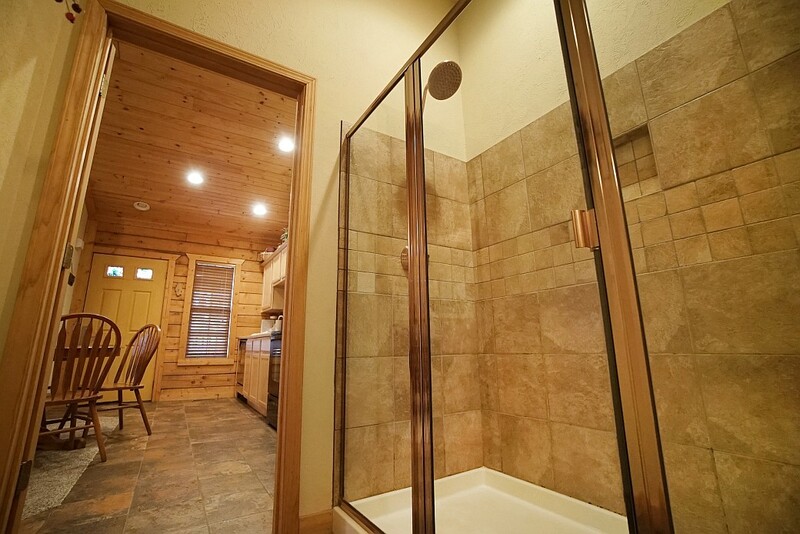 Relax after a long day in the 2-person whirlpool tub, take in a hot shower that can accommodate up to 2 people, kick your feet up on the private deck, browse the internet on the free high-speed Wi-Fi that’s included with your stay, or simply indulge in the beauty of the Ozark Mountains that surround you. 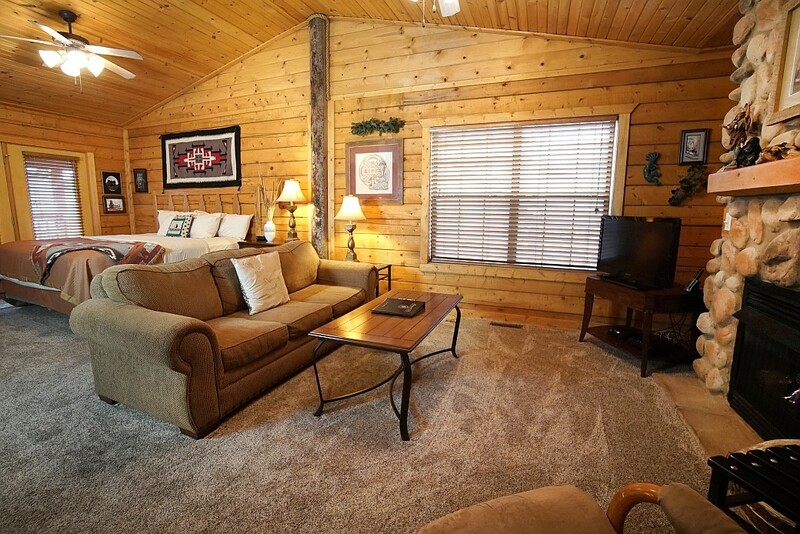 Modern decor and carefully-appointed rooms help make this beautiful cabin feel like home – with a living room, dining room, and fully-equipped kitchen included! 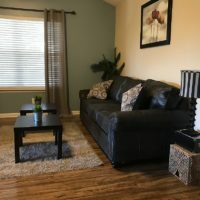 Tucked back away from the hustle and bustle of Highway 76, you are still just blocks from all of the excitement and action in town – making this one of the most sought after properties of its kind! 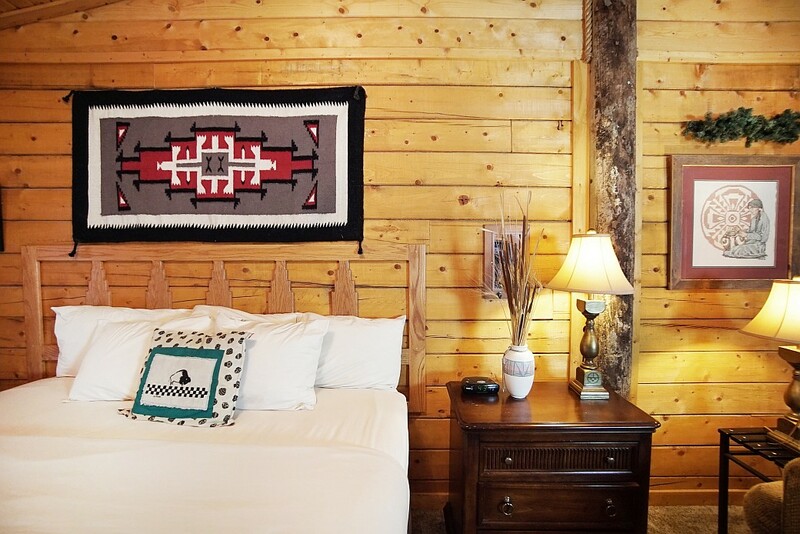 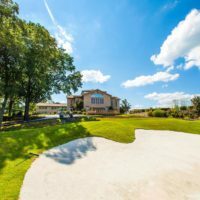 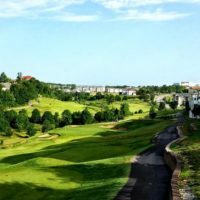 The shows, shopping, restaurants, and things to do are only a few blocks away – giving you one of the most easily accessible and convenient lodging locations to be found anywhere in town!